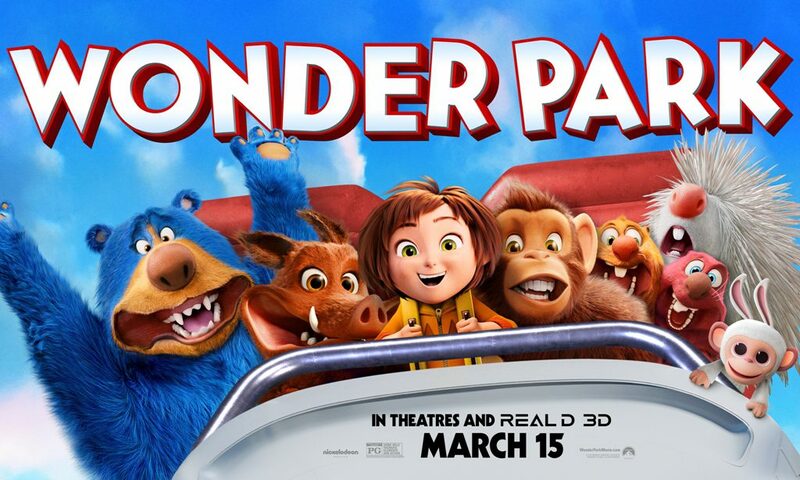 I was able to screen a cute movie recently called, WonderPark, about a child with an inquisitive creative mind who creates her own theme park. Nickelodeon produced this adorable film and I am excited to share more details with you all about it. I think this is an amazing movie for kids, but there is definitely a message in it instantly for adults when you start watching it. You can see early when the movie starts how June is able to be so carefree and creative because her mother is very supportive. Her mother helps her with her imaginative WonderPark, plays with her, come up with ideas and continuously affirms that the wonder is from within. How many of us wishes our parents was that engaged and interactive with our creative talents and skills? How many parents are actively telling their children to keep a healthy and creative mind of wonder on a regular basis? This world sometimes teaches you that you have to let go of the wonder in your mind, unfortunately at a younger and younger age. It teaches us sometimes to let go of our imagination, to push it to the side, and focus on more logical thing. How many of us have lost own our own sense of wonder at a long age? It will really make you think about how losing touch with your creative side and hurt something inside of you, or if you continue to spark it – how it can bring you back to life. I love that Nickelodeon brought back one of their talented original child star talent from their 90’s hit show All That, Keenan Thompson as the voice of Boomer. This movie is for all kid and ADULTS who still have the heart of wonder within them! This is awesome info! Thanks for sharing! i always enjoy animations and i would love to see this! they all look so cute and fun! Not so much into animated movies but this one looks like there a lot to learn from. Hmmmm. 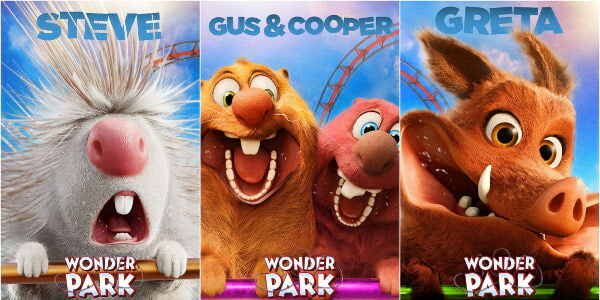 I literally cant wait to see this with the kiddos! Honestly, when it comes to animated movie, I never grew up 😉 I love these movies . 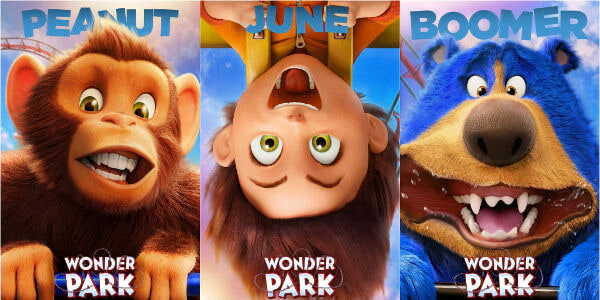 About wonder park, the character looks cool. I am looking forward to watching it. This sounds like such a fun movie with an important message. We should never lose our childlike wonder and imagination. This looks like such a fun and colorful movie! I kept seeing the trailers and loved them!!! I think my daughter will like this one…is there music like a musical?? This should be a great movie to watch.Will keep it in my plans. I wasn’t aware of this movie! And great timing, too because my nieces and nephews always visit me and I have a hard time coming up of kid-friendly movies to watch. Thank you for the review! Oh wow I’ve never heard of this movie but that message definitely speaks VOLUMES! Stripping our youth of their care free attitudes and imaginations is so damaging! Wow…I enjoy watching animated movies! You got me all excited to watch this one! This movie looks so good. I’ve been wanting to see it ever since the trailers hit. I think we’re going this weekend. This is a movie I want to watch with my little one! I’ve always loved Nickelodeon movies and yes, a big fan of Keenan Thompson! I love a movie that tells kids that their ideas are worth exploring. So many kids think that because they are a kid, they don’t have anything worthy to contribute. I can’t wait to see this movie. My kids keep talking about it. I like the message of this movie and it rekindles our imagination and a sense of wonder. I am not into the kids movie but this movie looks great for adults too. What a lovely family friendly movie! My kids will really enjoy this; and I will too! I will have to take my girls to see this or maybe wait until it’s out on iTunes; it sounds really cute! this sounds like a great family movie! i think my bf is going to see his nieces and nephews soon – will definitely recommend him to take them to see this! I LOVE animated movies and this movie seems like a lot of fun. Will surely check it out! I want to watch this film! Seems like a fun to watch! I’ve heard of this movie! I really want to see even if I don’t have kids, ha! I love the theme & am waiting to watch June with her creativity. Parents have a great responsibility if nurturing the potential of the child. Should be a great experience.